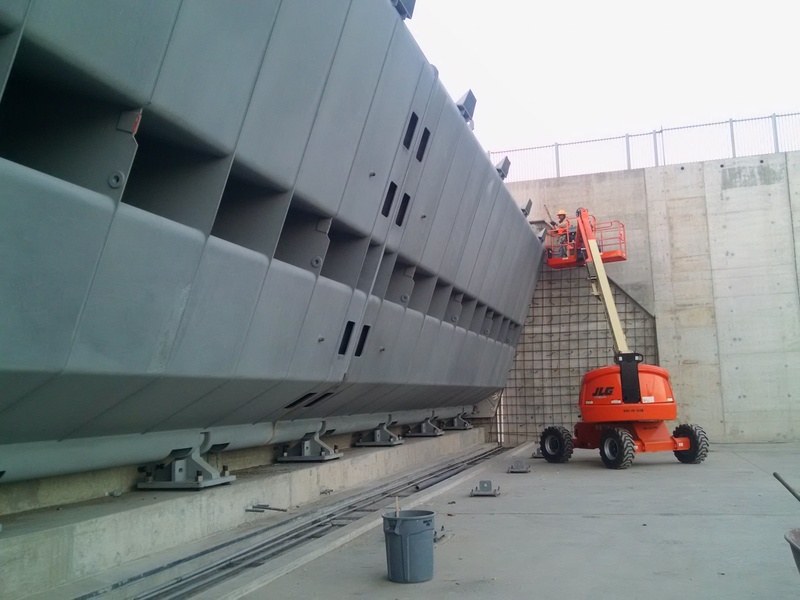 Tempe Town Lake Dam - SteelFab Inc.
Steel Fab designed and supplied eight hydraulically operated steel crest gates with hydraulic operating system in 2016 for the Tempe Town Lake Dam Replacement in Tempe Arizona. 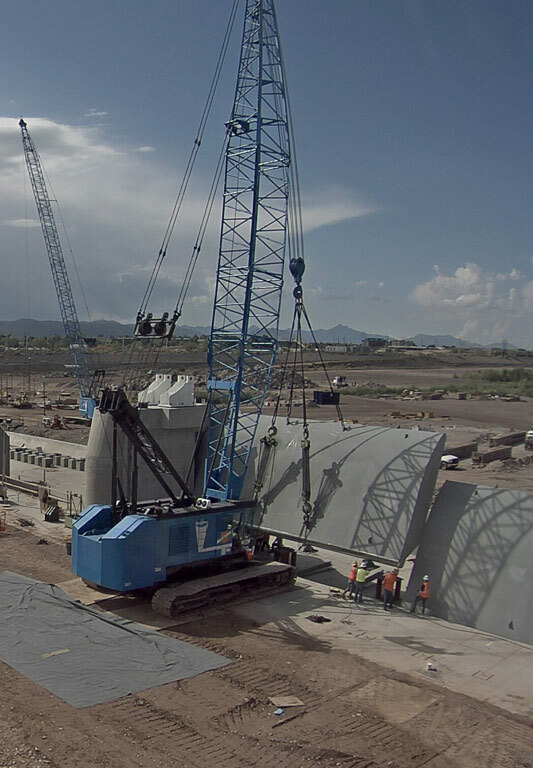 Each gate is 106’ long x 17’ tall weighing 260,000 pounds. 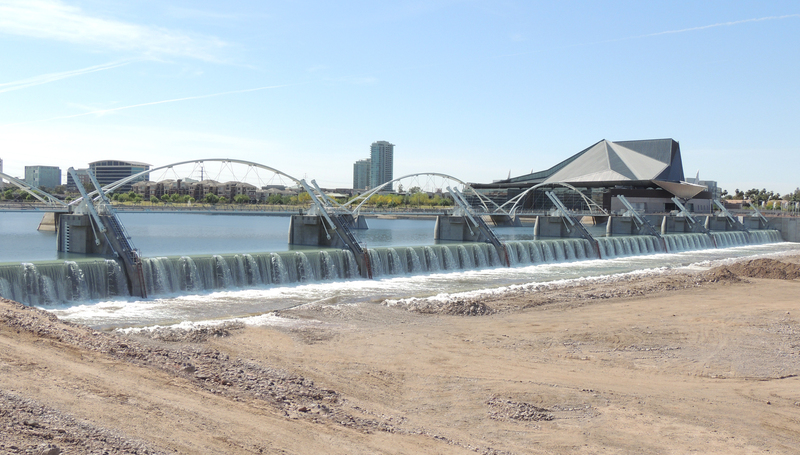 Tempe is one of the largest hinged crest gate dams of its kind in the nation. 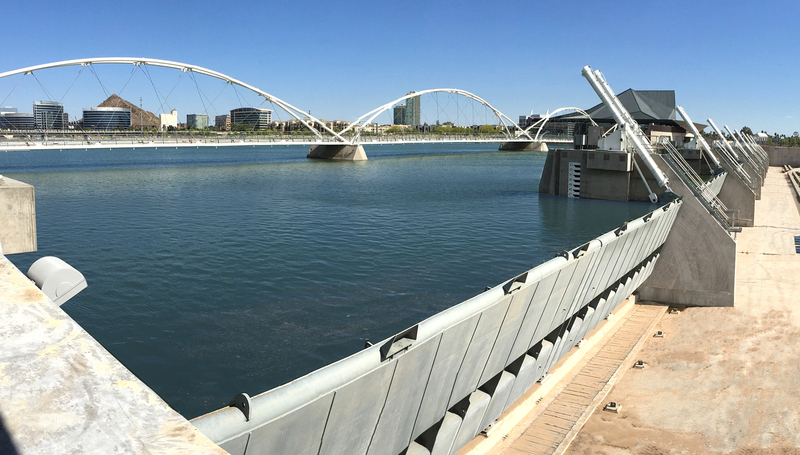 The new gates replace the rubber inflatable bladders originally installed in 1999 to create the Tempe Town Lake. The bladders were expected to last up to 30 years, but they required patching soon after installation. 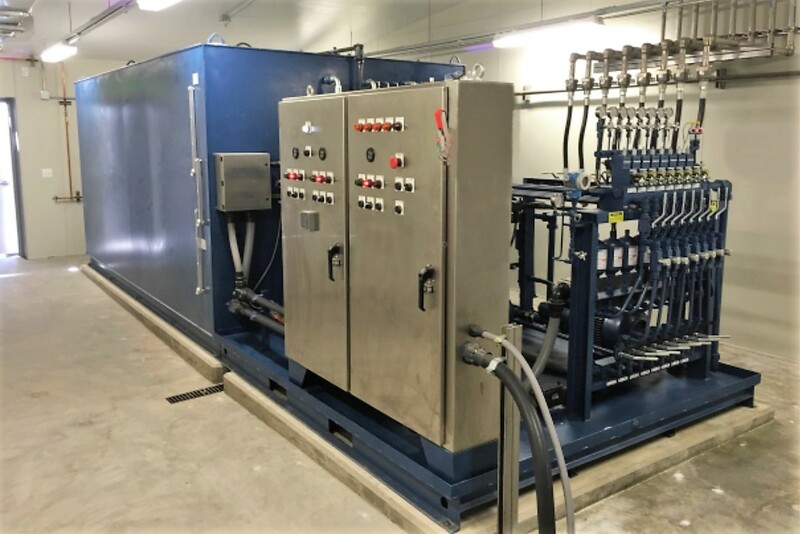 In 2009 the complete bladder system was replaced by the original manufacturer under a five year lease at no cost to the city until a permanent replacement was found. 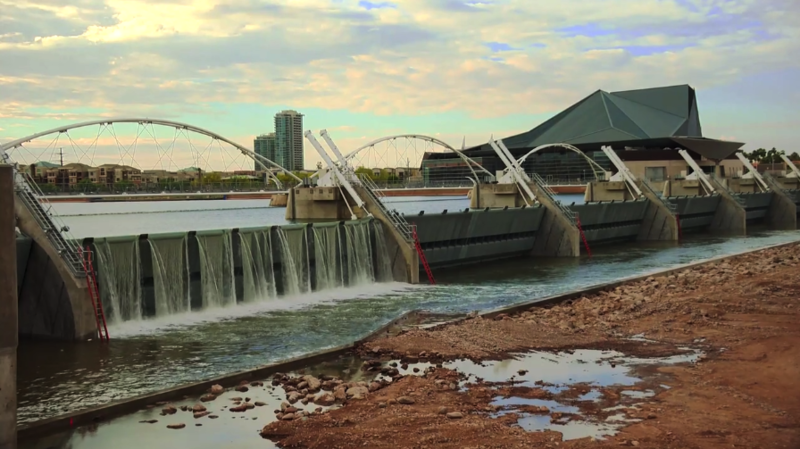 However, in 2010 a section of the bladders failed emptying the lake prompting the City of Tempe to expedite their pursuit of a gate system that would better withstand the hot Arizona climate. Steel Fab steel crest gates were selected. In addition to the gates, we supplied the hydraulic operating system that consisted of the hydraulic cylinders, one at each end of the gates and hydraulic power unit with automatic control system. 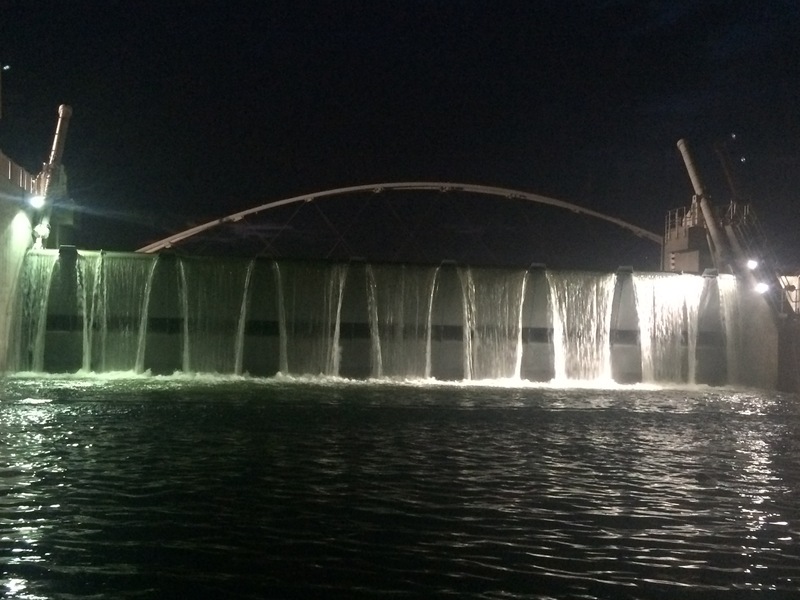 The gates can be operated locally at the dam but are primarily operated remotely by the City’s SCADA system.